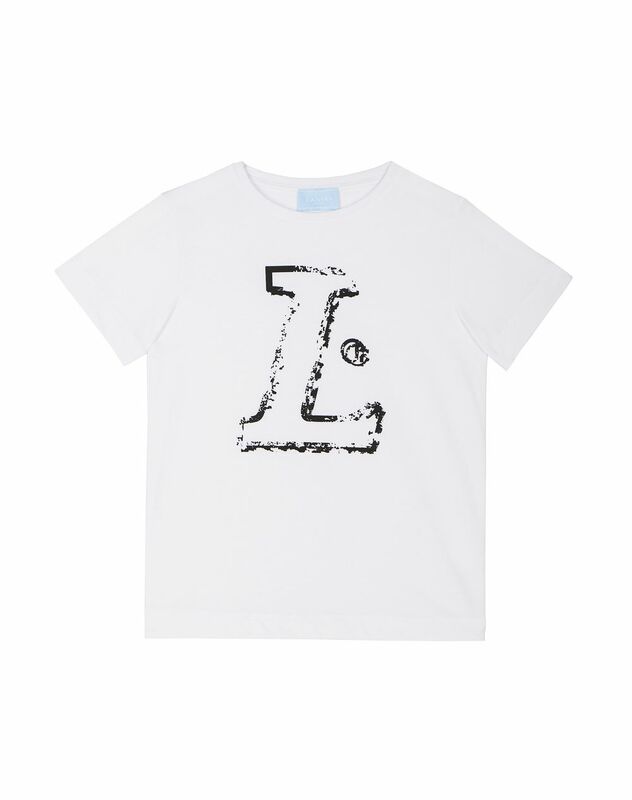 Short-sleeved T-shirt in white cotton jersey, exclusive L print and crew neck. 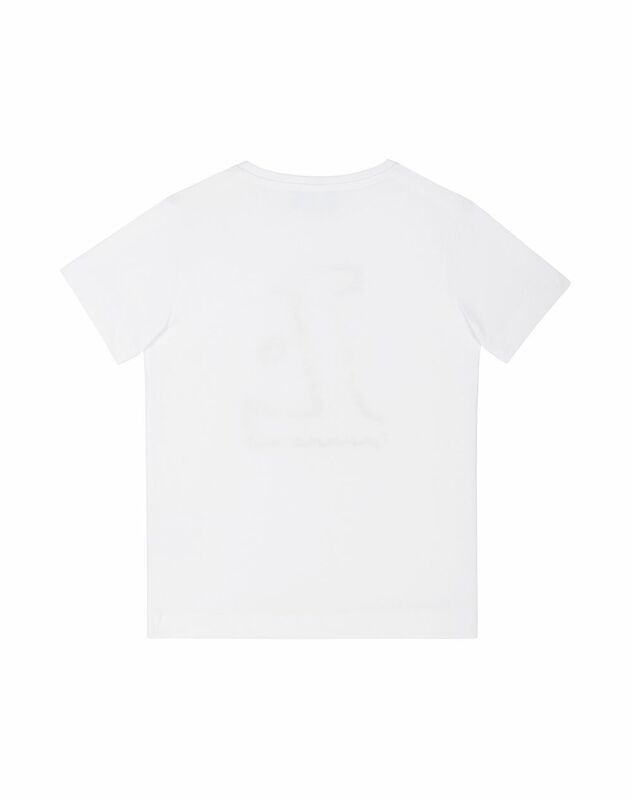 Directly inspired by the men’s ready-to-wear collections, this white jersey T-shirt decorated with a new twist on the Lanvin logo leaves the brand’s mark on this must-have. Main material: 100% cotton. Made in Italy. Care conditions: Machine wash at 30°C. Do not use bleach. Do not tumble dry. Iron at low temperature. Do not dry clean.